Canon PiXMA IP100 mobile printer – Canon’s current successor to their famous BJC-80 mobile inkjet printer that is capable of being operated on battery power. Brother HL-2240 Compact Duplex Laser Printer – A small laser printer that can print on both sides of a sheet of paper. Suitable as a reception-desk invoice printer for professional offices or as a private office printer for professionals handling client-confidential documents. This is the economy version of the HL-2250DN which has networking and the HL-2270DW which has Wi-Fi networking. Brother PDS-6000 Professional High-Speed Document Scanner – A compact high-speed document scanner that can rapidly scan both sides of a document using its straight-through paper path. Brother DCP-J552DW – A small Wi-Fi only budget multifunction inkjet printer / scanner that competes with what HP are offering and has a four-cartridge ink system along with duplex print. Brother MFC-J1300DW – A home printer that implements Brother’s INKVestment cartridge and tank approach towards high-capacity ink storage so you aren’t replacing cartridges very frequently. Hewlett-Packard Envy 120 – The latest in HP’s Envy slimline all-in-one printers, this time with “sunny-side-up” copying and the ability to easily charge gadgets off its USB port. Hewlett-Packard Photosmart Premium Fax (C309 series) – A premium-level home-office all-in-one with integrated fax and full photo printing ability. Could this model be placed as a “bridge-level” unit between the consumer and small-business printer classes. 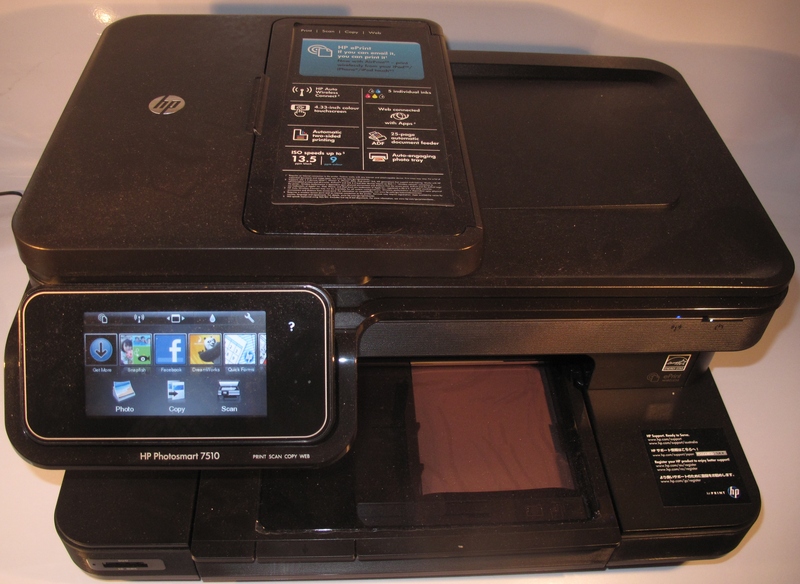 Hewlett-Packard Photosmart 7510 – The premium non-fax-equipped home/SOHO printer that has full photo abilities and is finished in that earthy-brown colour. Brother PocketJet PJ-773 – A Wi-Fi-capable direct-thermal battery powered mobile printer capable of printing on to thermal paper better than typical fax paper. 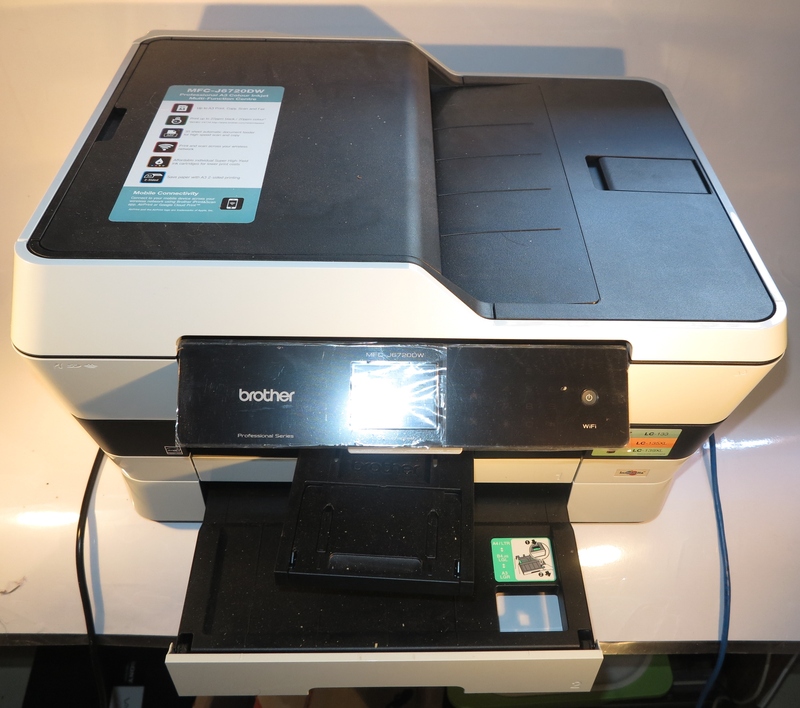 Brother MFC-7360N – An entry-level mono laser multifunction printer that connects to a network and is IPv6 ready. This is the economy version of the MFC-7460DN which has auto-duplex printing and T.37 Internet fax functionality; and the MFC-7860DW which also can work on a Wi-Fi wireless network. Brother HL-3075CW – An entry-level colour LED printer for those of you who are wanting to dabble in the world of colour laser printers or implement colour laser printing in their workflow. Brother HL-6180DW – A heavy-duty monochrome laser printer which can work well when you turn out plenty of documents or engage in monochrome or grayscale desktop publishing. 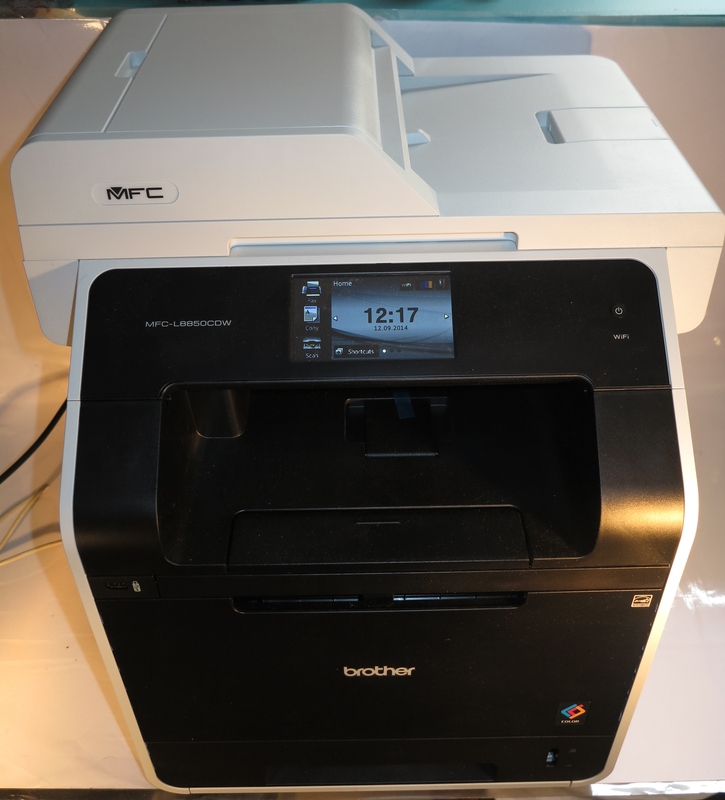 Brother MFC-J4710DW – A “full-duplex” multifunction colour inkjet printer that uses landscape (lengthways) printing to achieve a compact machine as well as being able to work with A3 or other large paper sizes. Brother MFC-J5720DW – The second generation of Brother’s landscape (lengthways) printing machines that yields a compact machine and the ability to print on A3. 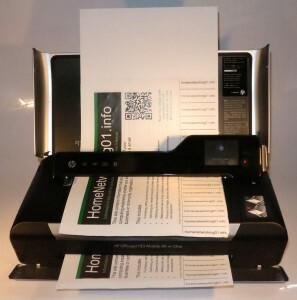 It also has a colour quality that would snap at the heels of the HP OfficeJet Pro 8600 Series printers and would appeal to short-run promotional material. Brother MFC-J5730DW – The third generation of Brother’s landscape printing machines, but this time, the printer is designed for improved presentation-grade print quality thanks to use of a new pigment-based ink. Brother HL-L8350CDW – An updated easy-to-setup colour laser printing workhorse from Brother with the same negligable double-sided printing speed penalty. 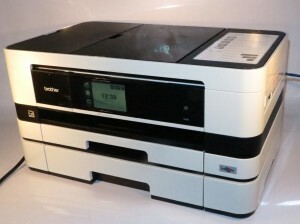 Brother ADS-2800W – A network-capable high-speed duplex document scanner that can scan both sides of each document page quickly and send to a NAS, online storage service, mobile device or regular computer via a network. Brother MFC-L2713DW – A network-capable light-duty monochrome laser multifunction printer with duplex printing. Fit for a small business or as a “private” document printing and scanning machine for a professional or manager. Brother HL-L3230CDW – A network-capable light-duty colour LED printer offered as the baseline model for Brother’s latest colour LED print engine that “ticks the boxes” for a baseline colour xerographic-technology printer, such as auto-duplex printing and Wi-Fi 4 (802.11n) wireless and Ethernet wired network connectivity. Dell 1130n – An entry level network-enabled mono laser printer that can work as an invoice printer for a clinic or as an infill mono laser printer. Hewlett-Packard LaserJet M1536dnf – A network-enabled multifunction laser printer for the small legal office that can print on both sides of the page and use the HP ePrint service. Hewlett-Packard OfficeJet 6700 Premium – A multifunction colour inkjet printer that has the same ability to run cost-effectively as the OfficeJet 6500 series but also is equipped with touchscreen operation and HP ePrint functionality. Hewlett-Packard OfficeJet Pro 8600a Plus – HP’s newest top-of-the-line business inkjet multifunction printer. The first HP inkjet printer to print “both sides” to the edge of the sheet without forced margins. Brother MFC-J6720DW – Brother’s third-generation A3 multifunction printer that prints on both sides of A3 paper and prints on A4 paper in a landscape fashion. All paper sizes that are referred to in the reviews are based on the ISO-216-standard A series used in Europe, Asia and Oceania. For North-American readers, A3 would be nearly equivalent to the Ledger paper size and A4 would be nearly equivalent to the Letter paper size.